In the winter of 1607-08, Sieur de Monts returned to the French court and convinced King Henri IV to continue with the colonization project in New France and to extend de Monts’s trade monopoly for one year. Although Champlain was keen to return to the St. Lawrence Valley, de Monts anticipated establishing a colony farther south. In the end, a compromise was reached and, in the spring of 1608, two ships sailed to the St. Lawrence Valley to establish a permanent settlement, and a third sailed to Acadia to restore settlement there. Champlain was appointed commander of the mission and given the title “lieutenant for the country of New France.” He sailed for Tadoussac on April 13, 1608, and met his colleague and friend Pont Gravé at that location on June 3. Several young men were on the voyage, including Étienne Brûlé and Nicolas Marsolet, but no women or members of the clergy made the trip. Soon after his arrival, Champlain set about exploring the lower Saguenay River with permission from his Montagnais (Innu) colleagues. 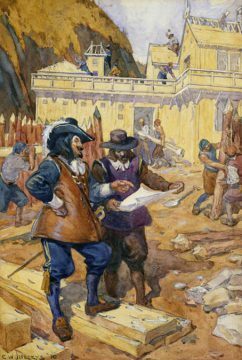 He then sailed up the St. Lawrence River in search of a permanent site for settlement, which he found at the place Aboriginal peoples called Kebec, meaning “where the river narrows.” On July 3, 1608, work commenced on a “habitation” on the site the French renamed Quebec. The purpose of the settlement was clear: to intercept furs being transported to Tadoussac to ensure that illegal and competing traders did not get to them first, and to strengthen alliances with the Aboriginal peoples of the Great Lakes area. Champlain’s men laboured tirelessly to erect the habitation, plant gardens and complete other tasks necessary to the successful establishment of the settlement. Not all were content with the hard life of the new colony, however, and in the fall of 1608, Champlain became aware of a plot to assassinate him and destroy the habitation. 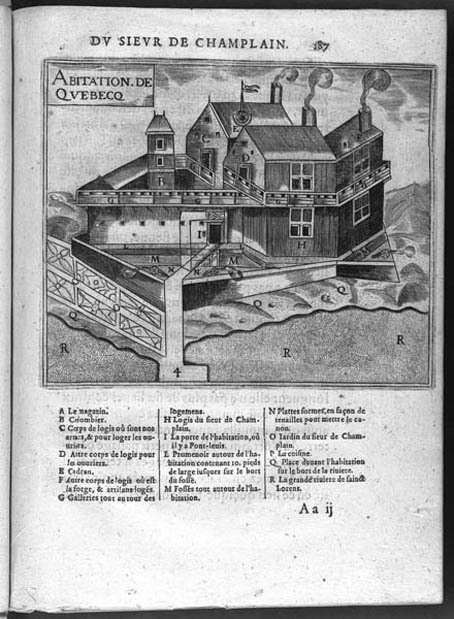 The plot was initiated by Jean Duval, who apparently was motivated by the possibility of reward from de Monts’s Basque competitors from Spain, who had been trading on the St. Lawrence River for many years and resented de Monts’s intrusions. 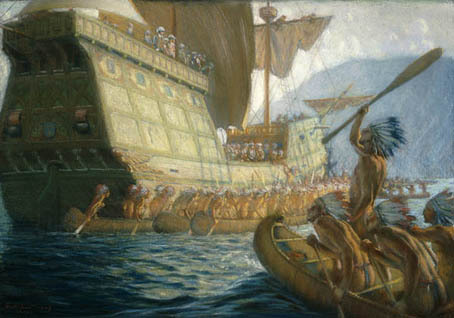 On discovering this conspiracy, Champlain executed the ringleader and sent his co-conspirators back to France in chains. The following winter was particularly difficult for the Quebec settlers and the Montagnais (Innu) people. A good number of the settlers died of scurvy and dysentery before the warm weather returned. 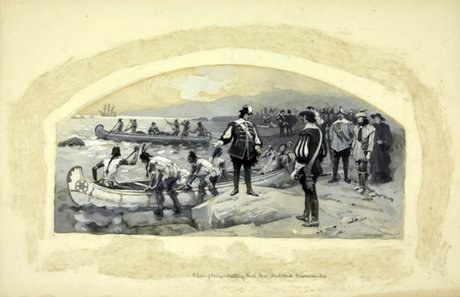 The remaining members of the colony rejoiced at the first run of fish in the St. Lawrence River and at the arrival of provisions from France in June of 1609.